Your trucker hat will be shipped by USPS with delivery tracking. 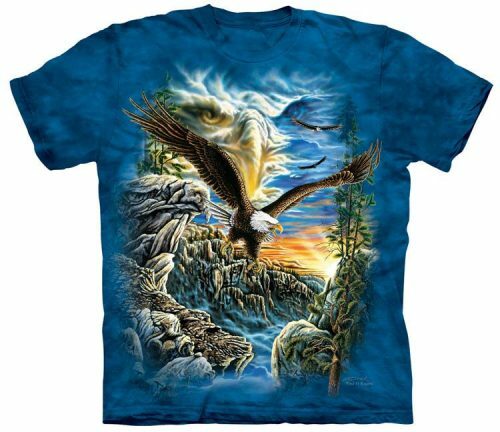 We offer FREE SHIPPING on all USA shirt orders over $99. 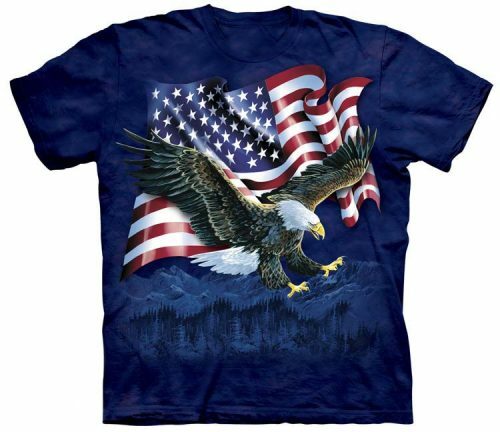 Show your patriotism by proudly wearing the Independence Eagle Trucker Hat, designed by artist Dimitar Neshev. 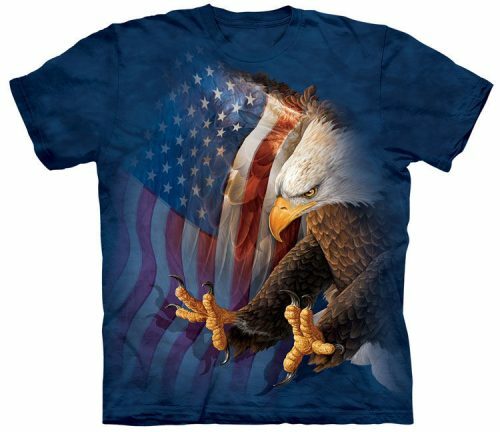 You will radiate nationalism with the sunbeams back-lighting the flag, which is crowning the noblest and most majestic bird, the bald eagle. 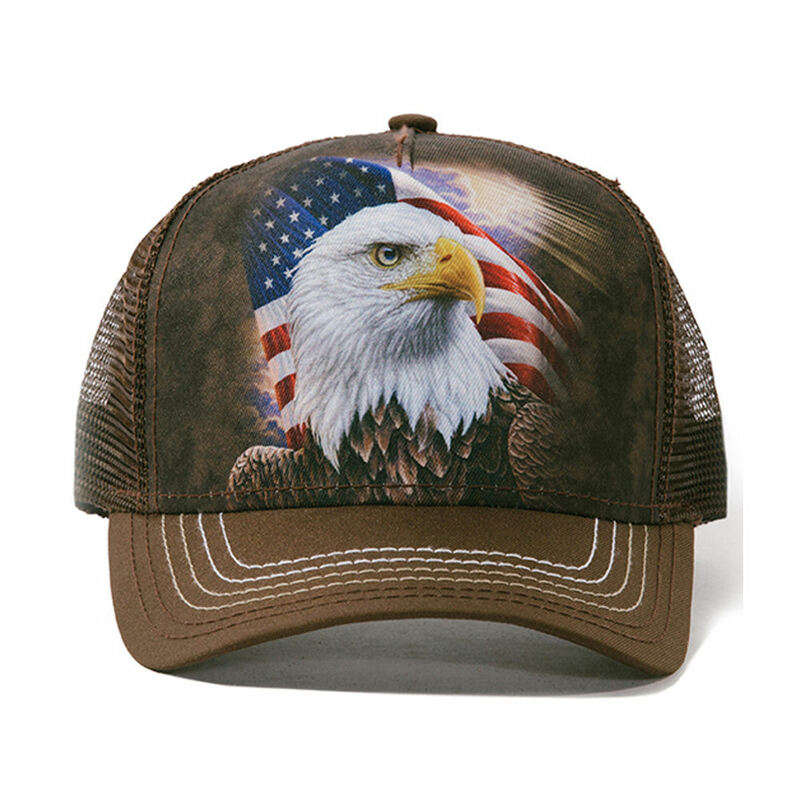 Celebrate freedom and your style year-round with the Independence Eagle Trucker Hat! The Mountain has meticulously researched and sourced an excellent overseas manufacturer for our exclusive hats. These trucker caps are produced using sustainable environmental and social practices and are of the highest quality. Assembled from 100% polyester and featuring a plastic snap closure, these five-panel hats are a pro style mesh back product, sport a pre-curved visor, a structured firm front, and a fully sublimated poly twill front panel. 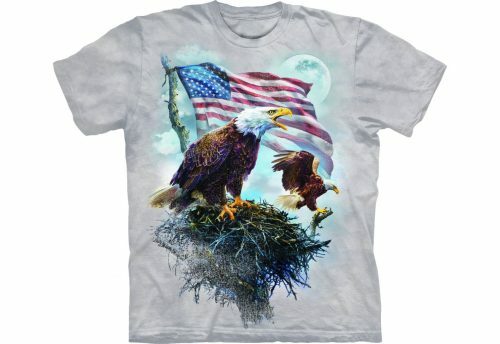 You can’t go wrong with a quality trucker hat headlining unique Americana artwork! When you first receive your trucker hat we recommend washing in cold water alone or with like colors. Hand-dyed hats will continue to bleed some excess color for the first few washes. It is safe to use normal detergent, just make sure to avoid bleach. Trucker hat should be dried either in a tumble dryer or flat, not hung as the weight of the water will cause the cotton to stretch.